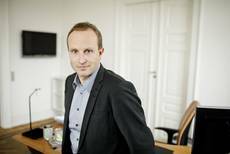 The Danish Government’s plan "Our Energy" seeks to create green growth and help the country convert to 100 percent renewable energy use by 2050. The strategy presents specific measures for fulfilling the Government’s goal of stimulating green growth. The plan is based on the previous government’s Energy Strategy 2050, but raises the bar higher. The long-term goal of the plan is to implement an energy and transport network that relies solely on renewable energy sources. By 2020, the initiatives will lead to extensive reductions in energy consumption, making it possible for half of the country’s electricity consumption to be covered by wind power. Coal is to be phased out of Danish power plants by 2030. And by 2035, all electricity and heating will be generated using renewable sources. “Creating green economic growth will secure Denmark’s future. Viewed in narrow terms, we can expect to pay more for energy, but this has to be seen as a form of insurance. These are costly investments, but compared with the cost of what we’re insuring ourselves against, the amount is minimal. It’s a good investment if energy prices increase more than we forecast – and there is a significant risk of that happening. “Investing in green energy can position Denmark in as a leader in developing climate-friendly technology. If Danish companies can capitalise on these opportunities, the country would benefit in the long run. “The International Energy Agency warns that without a change in national energy policies, the global temperature will rise by six degrees by the end of this century. 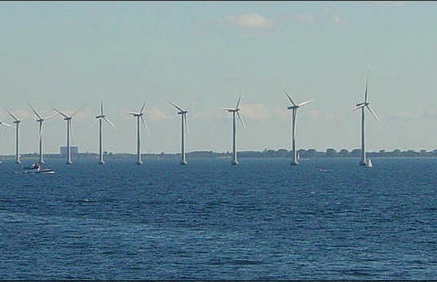 The initiatives in the government’s strategy will slash Denmark’s greenhouse gas emissions by 35 percent by 2020, compared with 1990 levels. That would put us well on the way towards meeting the EU’s goal of an 80 to 95 per cent reduction by 2050. If we can do this, it would send a signal to the world that establishing a green energy network is realistic and affordable in the long term. “'Our Energy' calls for spending 5.6 billion kroner in 2020 on such initiatives as improved energy efficiency and expanding the use of renewable energy. Not included in that figure are the billions of kroner businesses and households are projected to invest in renewable energy and more efficient technologies. The decreased consumption that results from these investments will lead to lower overall energy costs. By 2020, the savings is projected to amount to 6.9 billion kroner, but would be even larger if the cost of fossil fuels increases. The Government invites all the parties represented in parliament to negotiations that will determine the shape of energy policy through 2020. The goal of a new energy policy should be to ensure the stability and security of our energy future, while simultaneously bringing Denmark closer to establishing a green energy network.